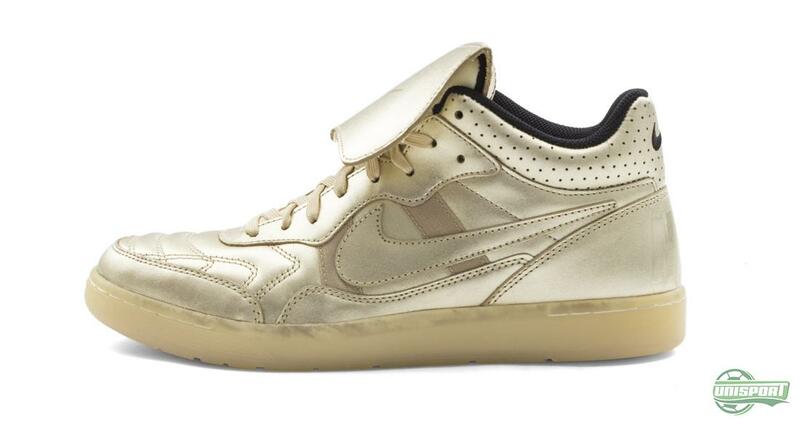 That Nike love gold is hardly a big secret. 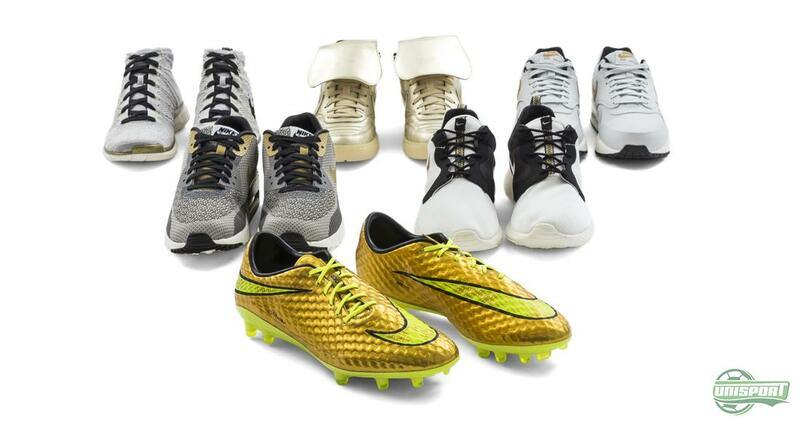 Nor is it a big secret anymore that Neymar Jr., at a young age dreamt of playing in gold football boots. This has resulted in a pair of golden Hypervenom boots, but the fun didn’t stop there. Nike felt inspired and therefore released a Nike Sportswear Gold Hypervenom collection. 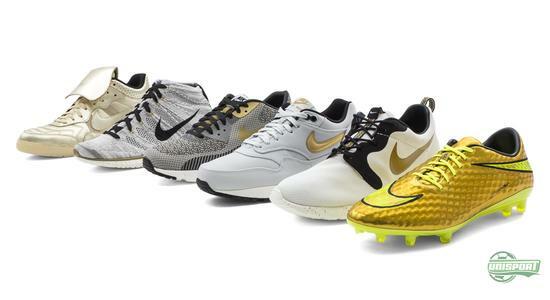 The five popular sneakers have had quite a few makeovers in their time. The Flyknit Chukka, Air Max 1 and 90, Roshe Run HYP, as well as the Tiempo ’94 have all seen great change in the last few months, with them all getting the chance to represent the Magista, Superfly and now the newest Hypervenom. This has brought with it a number of amazing designs, which have already been hailed by sneaker lovers around the world. Nike are known for spoiling their sneaker audience, with amazing shoes, which are not only made from the highest quality materials, but also with design that would make even the pickiest sneakerhead drop to his knees. The new Nike Sportswear Gold Hypervenom collection is another bulls-eye from Nike and we have Neymar and his childhood dream for that. Gold is an essential part of Nike’s current clothing- and shoe-lines. Especially from Nike F.C. the gold design plays an important role and it is easy to see that Neymar Jr. has become an essential cog in Nike’s proud brand machine. 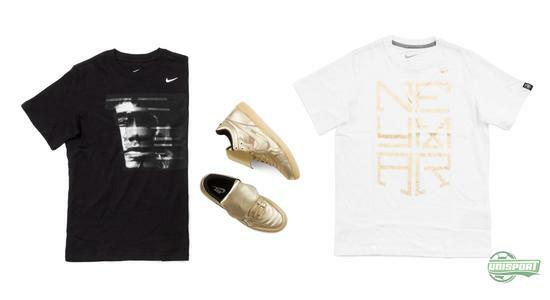 The design possibilities seem endless with Neymar and Nike together as one force. 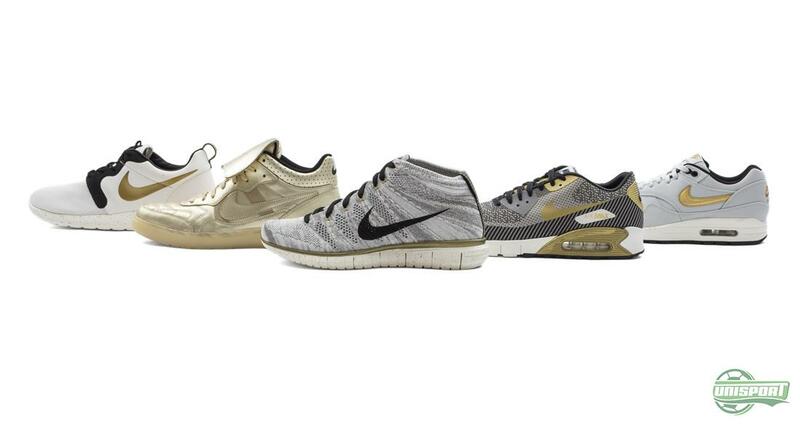 See the cool selection of products that match your new sneakers. The Free Flyknit Chukka is one of the Nike shoes that combines the most technologies from other Nike sneakers. 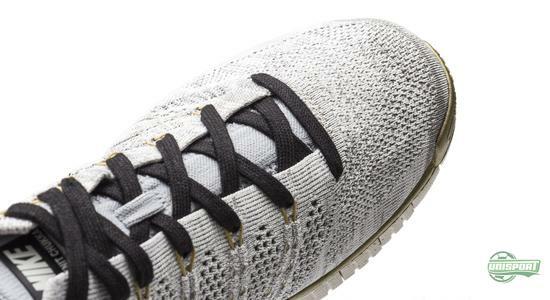 The Flyknit upper, which we know from running shoes and later football boots gives an incredibly comfortable fit and the unique feeling of walking barefoot. 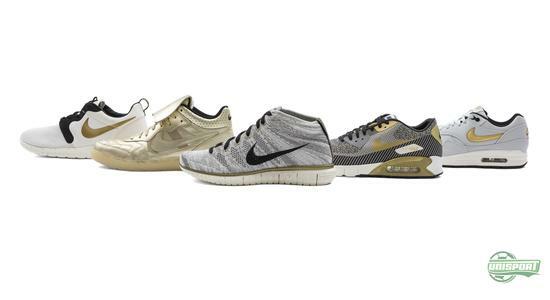 On top of that you get Nike’s Free sole, which is also optimized for comfort, so you really have to go out of your way, to find anything to match the comfort of this shoe. 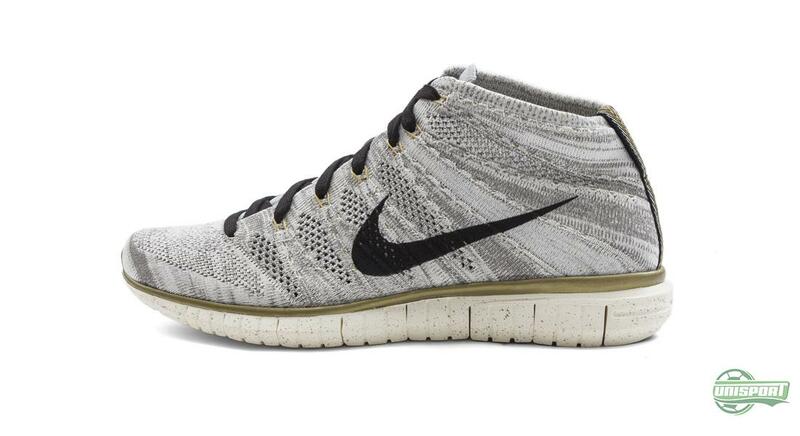 If you have fallen for the cool new Nike Free Chukka, then you can find them here – just 190 euro. 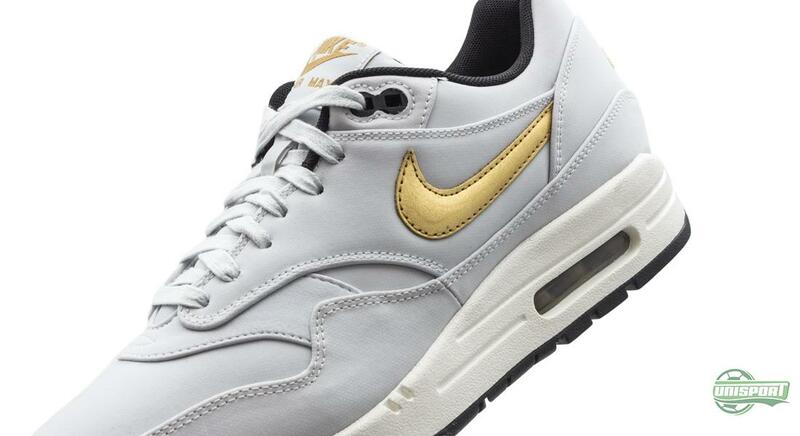 Air Max 1 has a very heritage to carry. This was the model that started the entire Air Max revolution back in 1987. Many years of research led to this air-filled sole, which was known for giving maximal support and shock-absorption. Anyone who owns a pair of Air Max 1 will agree that you haven’t tried a sneaker, until you’ve worn the Air Max. You can find the iconic Air Max 1 QS White/Gold here – just 145 euro. 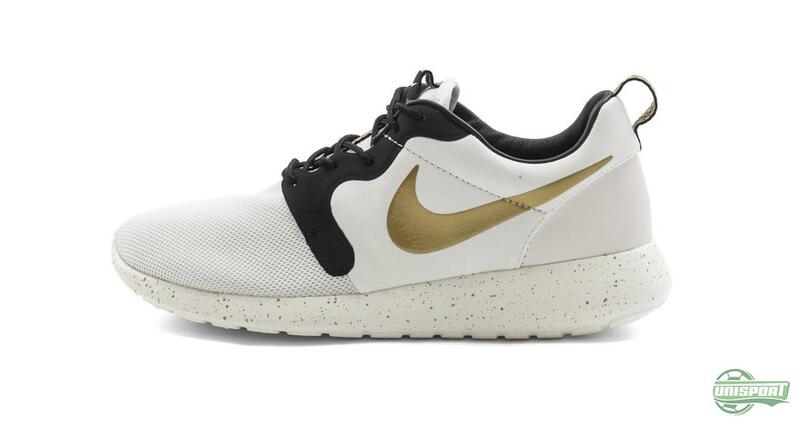 A sneaker with a shorter history than the Air Max, but has skyrocketed to the same incredibly levels of popularity is the Nike Roshe Run. The shoe has a unique shape as it has incorporated the Hyperfuse technology, which gives an upper completely without stitches. This way of making the upper gives Nike unlimited possibilities when it comes to creating iconic designs and that is certainly something they do on a regular basis. There is hardly the colour combination that the Roshe Run hasn’t seen and this time round it’s gotten a touch of gold. The Tiempo ’94 is Nike’s most important milestone in a football connection. 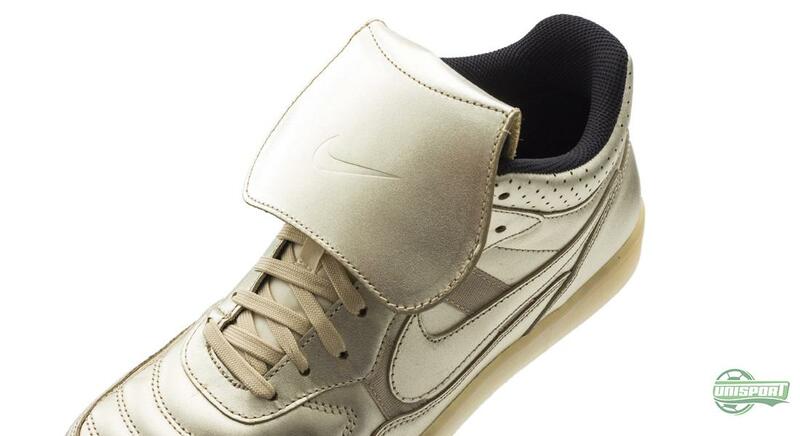 It was at the World Cup in 1994 that Nike really stepped onto the football scene, when 10 players out of 22 went onto the pitch wearing the Nike Tiempo Premier. To celebrate this football boot Nike created the Tiempo ’94 and it has really taken hold, to become a constant feature among Nike’s sneakers. So even though the Nike Sportswear Gold Hypervenom Collection first and foremost is to celebrate the Hypervenom and Neymar Jr., the Tiempo deserves the shine just as much. The Tiempo ’94 has been dressed in gold. Find the classic sneakers here – just 140 euro. 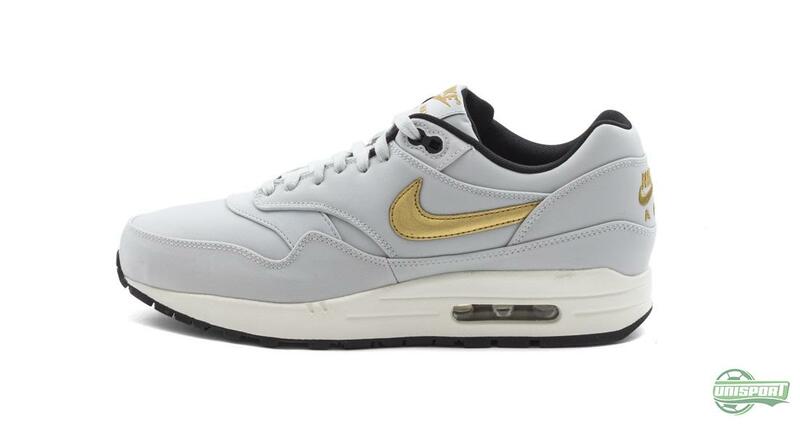 The Nike Air Max is among the most iconic collections in Nike’s selection and the characteristic Air Max sole has been used in many connections. 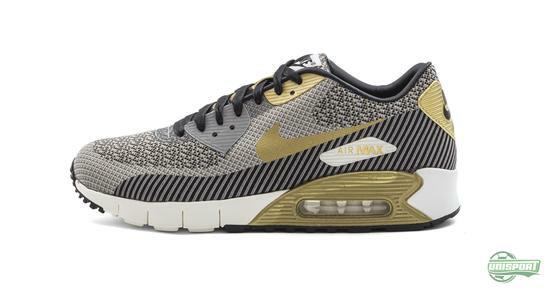 Among them is the Air Max 90, which Nike have now made in a special Jacquard version. The unique knitted technique gives some very different options, for how clothes and shoes are developed and made, which the Air Max 90 Jacquard is a perfect example off. 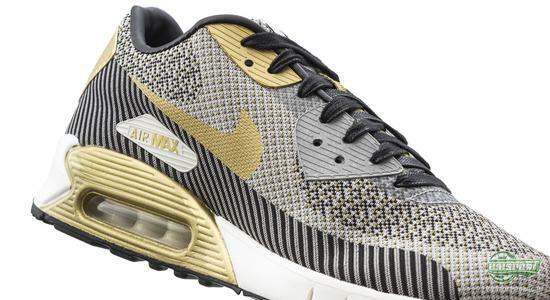 If the Air Max 90 Jacquard is your favourite, then get it here – just 160 euro. Neymar got his golden Hypervenom in connection with the round of 16 game against Chile. For reasons unknown he decided only to play one half in them, before switching back to his regular Hyperpunch boots. Whether he will continue to wear the golden boots is yet to be seen, but if Neymar loves gold, as much as the stories tell, then the chances are good. Either way he can look fresh in gold, both on and off the pitch now. 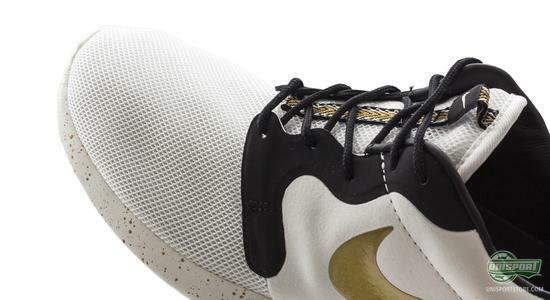 Nike Sportswear Gold Hypervenom is Nike’s latest celebration for one of their silo’s from the football world. 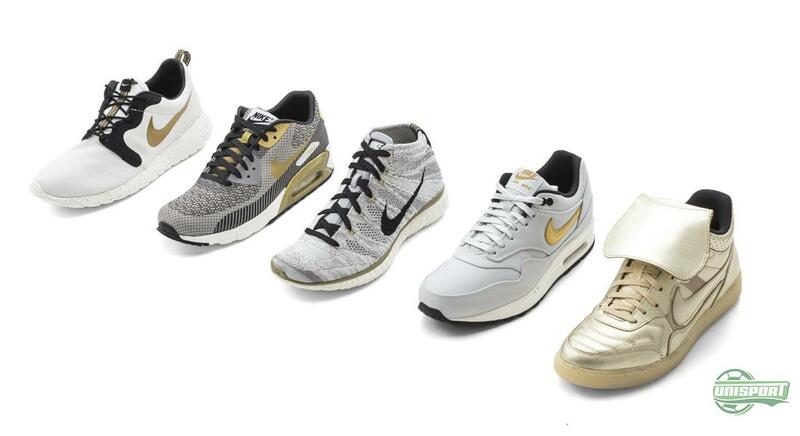 We have the pleasure of offering all five sneakers, but which one do you think carries the gold colours the best? And would you consider getting your hands on one of them.